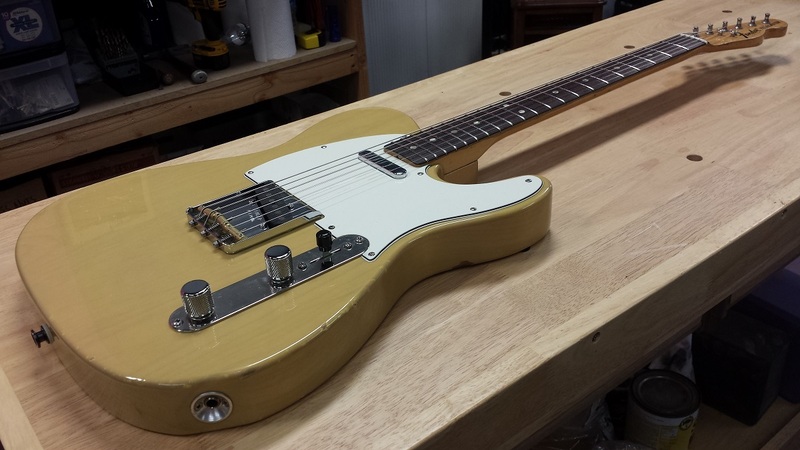 Here is a nice Telecaster sent to me from a guy in Michigan for some love. 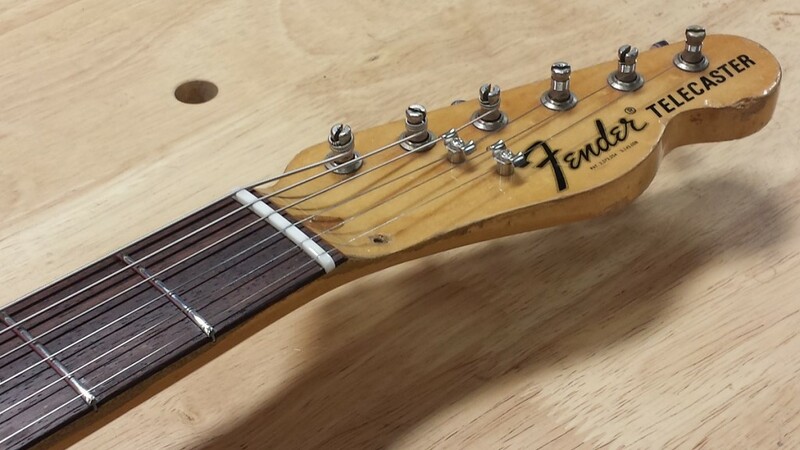 I basically called it a “rebuild” because I had to refret and fabricate a new bone nut, replace the bridge with a stock Fender unit & saddles with a brass Glendale set. I also replaced the knobs, string trees and pickups with a set of Lollar Special T’s. The neck is an older 70’s neck (not sure what year) and the body I believe was made by Allparts. In the end the Tele played and sounded great. This is an excellent “working mans” guitar ready for gigs and sessions. 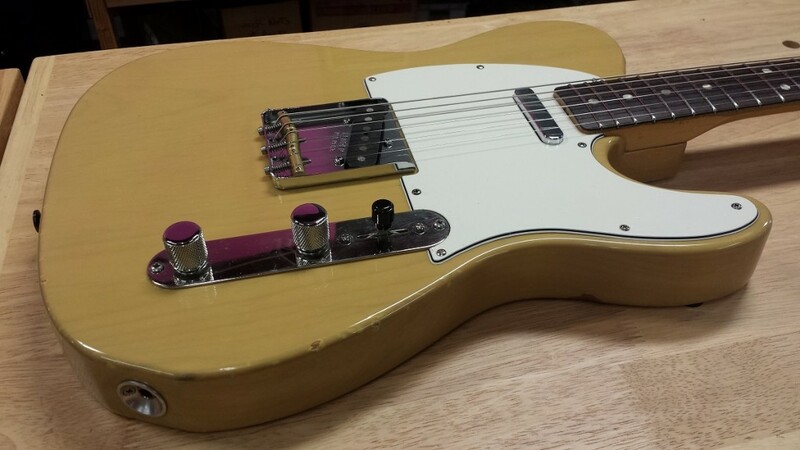 Tele time!! !